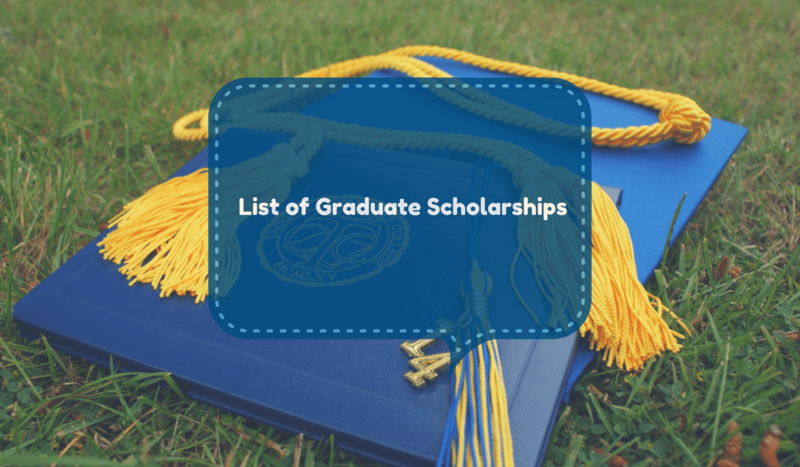 Here is a list of Canada graduate scholarships. Vanier Canada Graduate Scholarship (Vanier CGS) program “helps Canadian institutions attract highly qualified doctoral students.” The scholarships are offered by the Vanier CGS value $50,000 per year. The scholarship is open to women who are studying finance in graduate level. If you see the current scholarship is closed, you can apply for next year. The value of the award is US$10,000. The International Peace Scholarship Fund is a program which provides scholarships for selected women from other countries for graduate study in the United States and Canada. The maximum amount that they award to a student is $12,500. lesser amount may be awared based on individual needs. If you see the current scholarship is closed, you can try to apply for the next year. This graduate fellowship is open to all students regardless of their citizenships. The students need to have academic standing with a minimum of 3.75 GPA (above B+) in each of the last two years of study at the recognized university based on a Bachelor, Master’s Graduate Diploma or a Doctoral Degree. If you see the current scholarship is closed, you apply for the next year. Visit the website for more information. submit a maximum of one CGS M application per year to either CIHR, NSERC, or SSHRC (Research Portal will allow the application to be submitted to a maximum of five institutions). Canada Graduate Scholarships-Master’s from University of Toronto. Visit U of T website for more information. Canada Graduate Scholarships-Master’s from University of Western Ontario. More scholarship information, visit University of Calgary website. These are some graduate scholarship information we have gathered so far. Let us know in the comment below if you have more to add to the list.